Catharine Arnston believes that her sister beat breast cancer with the help of algae and that it has many therapeutic benefits for human beings. She turned her idea into a company named ENERGYbits Inc. and started selling algae-based energy tablets that supposedly improve focus, give energy, satisfy hunger, and build up the immune systems of it’s users. 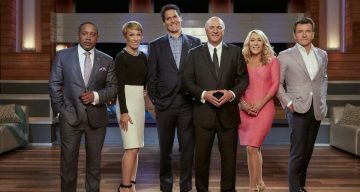 She appeared on Shark Tank 2016 looking for an investment in return for a stake in her company, but despite her passionate pitch, she had to walk away empty-handed. The poor sales of her products made the sharks decide not to invest in ENERGYbits Inc. However, Arnston didn’t give up and is still doing business in 2018 via her website and retail stores. She has done several promotional activities to increase sales of her products, and it sure looks like all her hard work will pay off. Arnston’s dream of a planet full of healthy people might just come true! As the conditions for living and working in today’s fast-paced world worsen, our health becomes increasingly at risk. Take for instance the food we eat. Is it healthy? A lot of people are into snacking but are potato chips and candy bars really good for your health? Are you eating nutritious food that is essential for your continued good health? According to ENERGYbits founder Catharine Arnston, most people aren’t! Arnston feels that most foods have way too much sugar and salt, and that is certainly not good for you if you want to remain in the pink of health. Unlike most people, Arnston has a solution. It’s called ENERGYbits, and soon it will be available in a shop near you, if Arnston’s ambitious plans work out! It was during the early 1900s that Germans discovered that people could survive by eating algae. Algae has a high protein content, so it was used during World War I and II to keep thousands of people from starving. Arnston knew her history well, so she was aware that algae had been used over the years to give people the nutrition and energy that they needed in their daily lives. The turning moment in Arnston’s life came when her younger sister was diagnosed with breast cancer. She was advised by an oncologist to go on an alkaline diet as it would help her healing. Arnston helped her sister in researching alkaline foods and along the way, she discovered the benefits of algae. Arnston realized that algae was the most alkaline, nutrient-dense food in the world and could help in preventing several chronic diseases, including cancer. She put her sister on a regimen of algae, and miraculously her health began to improve! Then came the joyful day when the doctor informed Arnston that her sister had fully recovered from cancer. Arnston discovered that algae is a multi-billion dollar business in Asia but virtually unknown in America. She realized that there was a big opportunity for selling algae tablets that would improve the health of the customers and a chance to make a fortune, as well. Algae had everything going for it. It had 64% protein (three times that of steak), 40% vitamins and minerals, and had been endorsed by the United Nations and NASA. It provided energy and focus to the consumer and had several studies documenting it’s benefits. So, Arnston started her own company and combined algae with other supplements. She created her ENERGYbits tablets ready to be sold to customers who were looking for natural products to enhance their health. Of the four products, two are selling really well, according to Arnston. They are the ENERGYbits, which gives the consumer energy, focus and satisfy hunger, and the RECOVERYbits, which remove toxins, builds the immune system, supports anti-aging, and hastens athletic recovery by eliminating lactic acid. It also removes alcohol and prevents hangovers. Today, Arnston is the founder and CEO of ENERGYbits Inc. and is proud to be at the helm of this privately held plant-based nutrition snack company. Her company is headquartered in Boston, Massachusetts, and Arnston made this decision after a lot of thought. The reason being is that Boston is full of colleges and that has made it easy for Arnston to hire a lot of smart college interns to help her, especially during the company’s cash-strapped years. Another reason was that Boston is a very big sports town and Arnston is hoping that when her brands become bigger, she will get to work with Boston’s NHL, MLS, MLB, NBA, and MLL teams. She hopes to target all the budding and active athletes in the area, and later all over the country. Arnston is ideally suited to run this company. She has a solid education behind her having studied arts management at the Banff School of Fine Arts, a BA Honors in urban planning and economics at Queen’s University, and an MBA in international business and marketing at the Ivey Business School at Western University. She also put in some time studying at the Institute for Integrative Nutrition. Apart from her educational qualifications, Arnston has tons of real-life work experience in companies like Ziff Davis, Design Times Magazine, YourInteriors.com, OneMade.com, RobinBaronHome.com, The British Midlands Development Agency, Hoteluxury Inc., Hoteluxury Media, and Bits of Health before founding and heading ENERGYbits Inc. She has held senior positions in sales, business development, marketing, and management in these companies, which have made her highly competent to run her own company today. As her company grew, many friends of Arnston urged her to appear on Shark Tank, but she was not very sure about doing it because she felt that she was not ready for national exposure. But she decided to give it a try, and in spring 2016, she submitted her application, product samples, and underwent several rounds of interviews before she got the call to appear on the show and make her pitch. Arnston appeared on the show and made her pitch to the sharks who were very interested in her business and her products. She told them that her ENERGYbits were the latest and greatest energy boosters on the market. She pointed out that people need not spend big amounts of money on energy shakes when they could better benefits from simply popping in an ENERGYbits tablet instead. Arnston wasn’t deterred and when asked what investment she was looking for, she told them that she was asking for a $500,000 investment from one of the sharks in return for a 5% stake in her company. Then the sharks asked her tough questions like how was her product ENERGYbits any different from a similar product called SKINNYbits. Arnston replied that apart from the packaging they were really the same. They asked her how she was so sure that her ENERGYbits tablets actually work. Here Arnston fumbled a bit and said that there were “hundreds of studies” but failed to give a specific example. Then came the killer question regarding her sales so far. At that point, her products had been available for six years and had been sold via the company’s website. She was selling a big bag for $15 and a small package for $4 though it cost her $40 to produce a big bag. The business plan seemed all wrong to the Sharks off the hop. Arnston admitted that sales hadn’t been all that great, and in the six years that ENERGYbits Inc. had been running, it had made only $1.5 million. In 2015, she had made $300,000 but no profit. When the sharks heard these facts and figures, they lost all interest in Arnston’s business and declined to make any offers of investments. They told her that while she was smart and had a lot of passion, no investor would put his or her money into a business that had such poor sales. So, Arnston returned empty-handed from Shark Tank, but she did not give up the fight. In the two years since then, she has made great progress in her business. Despite the sharks’ predictions that her business would collapse soon, ENERGYbits Inc. is still up and running in 2018. Her products are being sold via the company’s website and also now in some retail stores. Arnston is making a big effort to convince more retail stores and pharmacies to stock her products and people are slowly warming up to her ideas. Arnston’s company has done several promotional activities like sponsoring sports events, raising money for athletic events, sponsoring seminars on the benefits of algae, and advertising on social media. Several articles on the products have appeared in health and sports magazines, raising visibility for her products. ENERGYbits Inc. has also teamed up with organizations that are doing cancer research to promote their products, which they believe will heal the patients. Most of all, Arnston believes in her products and is working hard to sell the concept of consuming algae-based energy tablets to health-conscious consumers. By selling the concept, Arnston intends to make money in the long run. It’s one courageous and intelligent woman’s dream to make the planet more healthy person by person, bit by bit. It may still be a long shot, but hey, dreams do come true!